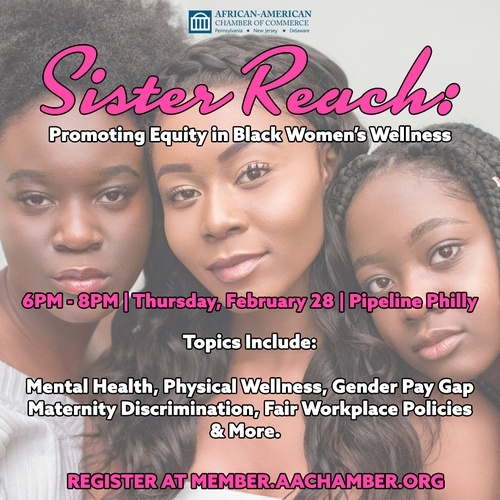 The African-American Chamber of Commerce of PA, NJ & DE, in partnership with Pennsylvania Care Associates and HiTouch Enterprises, will host Sister Reach: Promoting Equity in Black Women's Wellness. This is the Chamber's official Black History Month event. Jiana Murdic, founder, GetFreshDaily LLC. This event is free and open to the public. Wine and refreshments will be served and RSVP is required.